There are not many insurance companies offering the same mix of challenges and opportunities that you find at Allianz Global Corporate & Specialty. In fact, we think that we might be unique when it comes to international insurance jobs. We are committed to providing a healthy work-environment and we offer flexible work solutions such as maternity/paternity leave. Training for staff to raise awareness of staff, customers, and the public in matters surrounding Disability. Our common set of Allianz values guides us in our daily dealings with colleagues and customers. Caring is our most distinctive principle. It is what sets us apart as a financial service provider where people come first. We invest in our employees, which allows us to build strong long-term relationships with our clients and brokers. Being connected makes us stronger as a community. Being connected translates into close collaboration within our teams, where we share knowledge and expertise not just within the same departments, but also across different functions, allowing us to serve our clients in the most effective way. Acting in a responsible manger is what makes our success last. We aim to be an accountable employer who acts with integrity and rofessionalism towards all stakeholders. Our goal is to be transparent and uphold the highest ethical standards. This accountability combined with our caring attitude and trust is what allows us to deliver excellent results to our clients and brokers. We strive to improve on a daily basis by seeing client feedback and incorporating it in our daily activities. We are striving to be the best in our industry. 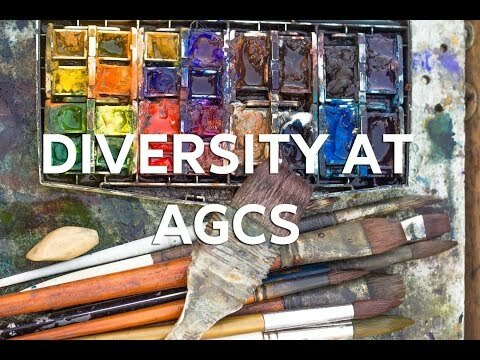 At AGCS we have long recognized the benefits of having a diverse workforce, going beyond the most commonly known attributes of diversity – gender and internationality. For us diversity also includes such critical aspects as mixed ability, work/life balance, careers and inter-generational integration (generations). To support the promotion of these six elements, we have established regional councils whose mission is to translate our core diversity elements into specific programs across the globe. As a global company, we cannot afford to ignore the benefits of having a truly diverse working culture. At AGCS we recognize that diversity is not a project, but a journey, which requires behavioral change.Only then we will be truly able to embrace our differences and capitalize on them for our long-term success. To be the leading provider of global corporate and specialty risk solutions and deliver exceptional service to our clients depends on our ability to embed diversity into the way that we do business. List of all the benefits that Allianz Global Corporate & Specialty (AGCS) are offering their employees. Benefits may vary depending on role, location and length of service. At AGCS we interact with each other on a global scale. In my department we act as internal consultants to the business and the underwriters. There are two types of days for me at AGCS: days spent at my desk and days spent travelling to the site. Joining Allianz allowed me to get what it means: great co-workers who don’t fear challenges - dare to explore new ways with the Allianz team and make the best out of it!